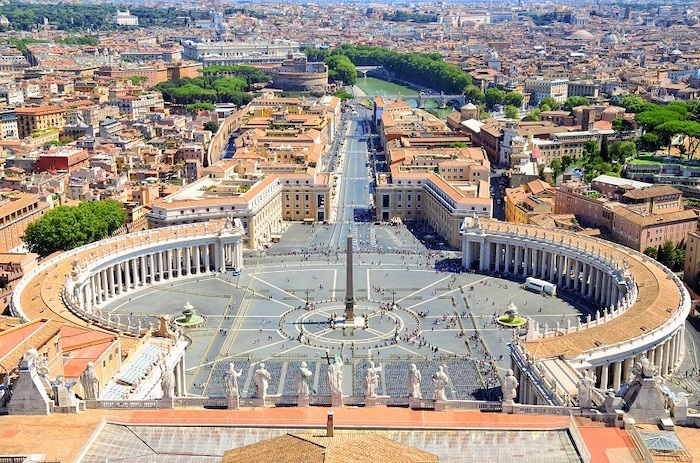 Why is it called the Vatican? Is Vatican City its own country? Visiting the Vatican? The best way to do so is with a professional guide. 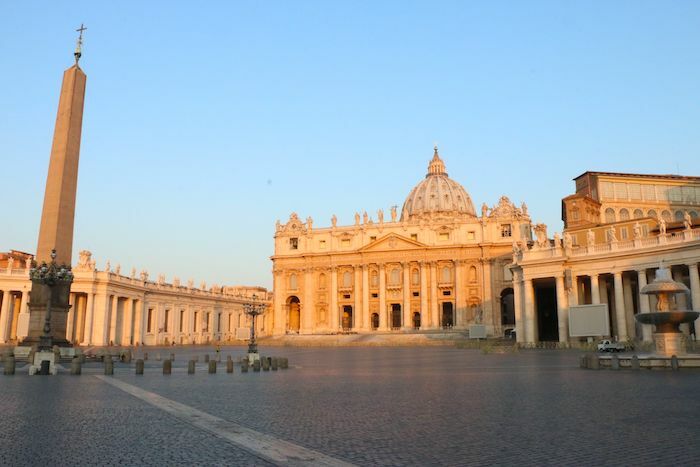 Our tours not only offer insight from licensed Vatican guides like myself, but also skip-the-line access and even extremely early start times to avoid the crowds. 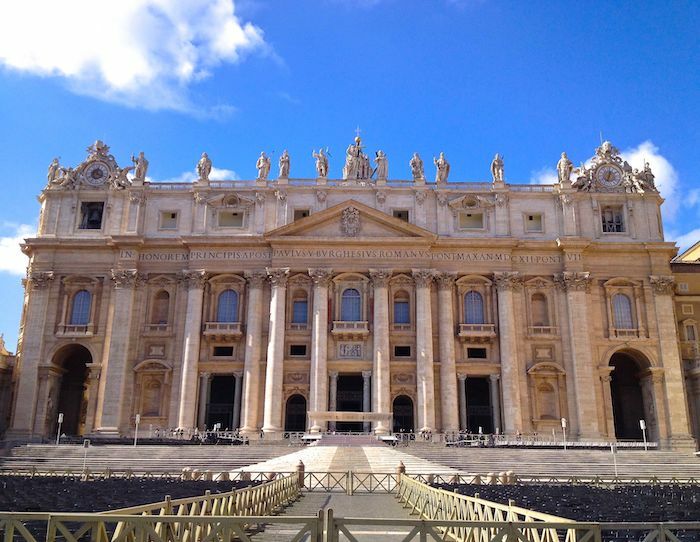 Check out our Vatican tours to make sure you treat yourself to the best experience possible. As an official tour guide of the Vatican, I get asked many interesting questions that range from the silly to quite deep. Some examples? 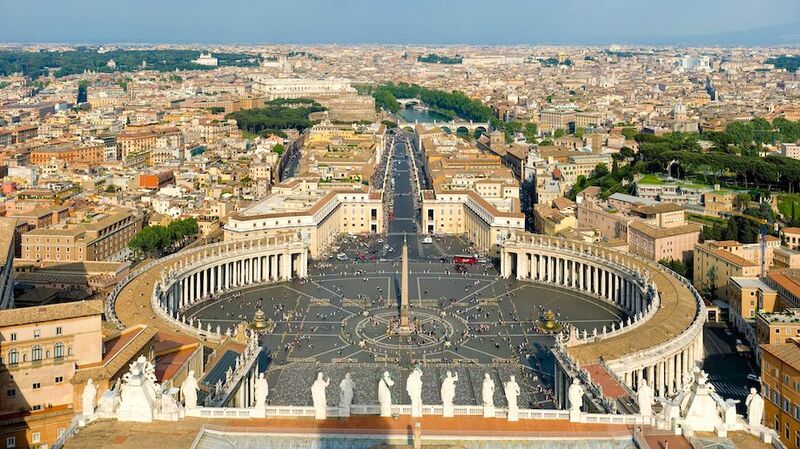 The name “Vatican” goes back to pre-Christian times when the name of the hill was called Mons Vaticanus ( Vatican Hill). As the legend goes in 64 AD St.Peter was crucified upside down around the area where the church rises today. His remains stayed in this area in a necropolis where both Christians and Pagans were buried, until the emperor Constantine came along and built the first basilica over where the remains of St. Peter were said to be buried. This was the 3rd century and the beginning of Christianity dominating the Roman Empire. 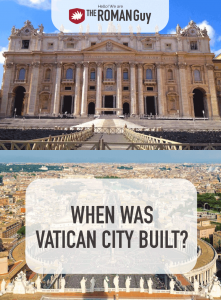 Why was Vatican City Built? 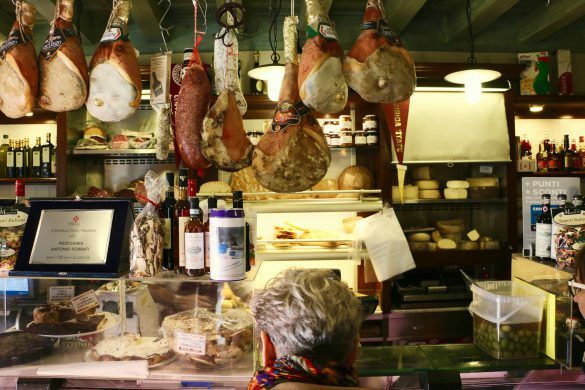 During the Middle Ages, life wasn’t so good in Rome (or anywhere else for that matter). A testament to how bad life actually was are all the huge brick towers you can still see around Rome today. Noble families lived in these cold, dark towers to protect themselves from other families. It was so bad, that even a wall was built around the area of the Vatican to protect the popes. You can still see a piece of this early wall if you walk through the left colonnade of St. Peter’s Square with your back facing the church. A huge wall that contains the famous “passetto” or secret passageway built for the popes to be able to escape their Palace and run to the fortress Castel San Angelo for protection. The true glory of Vatican City occurred during the Renaissance period. However, it was not called the Vatican City at this time. That’s because the “Vatican” was also ruler not only of Rome, but the so-called Papal States which varied in size, but let’s just say the entire central part of Italy was ruled by the pope. How did he come to rule this huge area? That’s for another time and another blog, but sufficient to say that the pope wielded huge amounts of power back in the day as a temporal leader, even raising entire armies and conquering neighboring cities. When Was Vatican City Recognized as Its Own State? All of this came to an end towards the end of the 19th century. 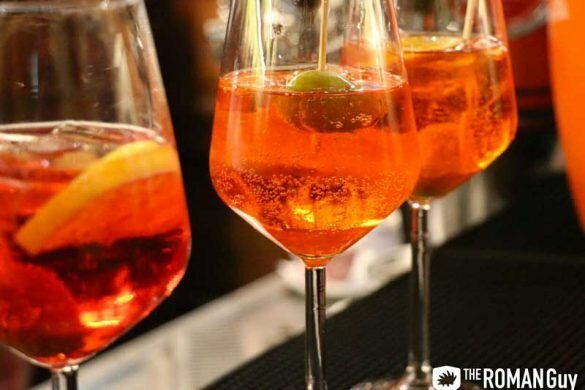 Italy wanted to unite as a country and not a mix of different republics and kingdoms. Rome was overtaken by generals and soldiers of the “Risorgimento” or uprising and the pope, defeated, retreated to within the walls of what we now consider the “Vatican City.” But it didn’t end there–the Vatican City was not recognized as a real state until 1929 with the Lateran treaty. 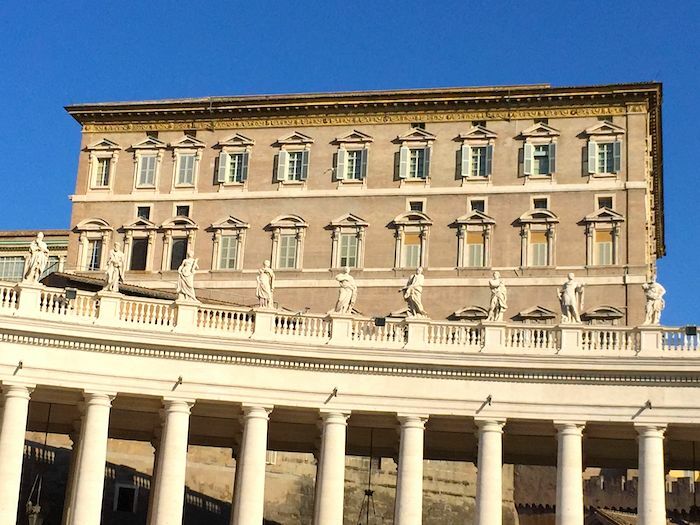 During that accord, anything within the Vatican Walls were considered Sovereign property of the Holy See, plus a few buildings outside of the walls. Population- The population today is about 800 with 450 people holding an actual Vatican City passport. Vatican City Flag- They have their own flag, which is yellow and white with the keys of St. Peter and papal tiara on the white side. 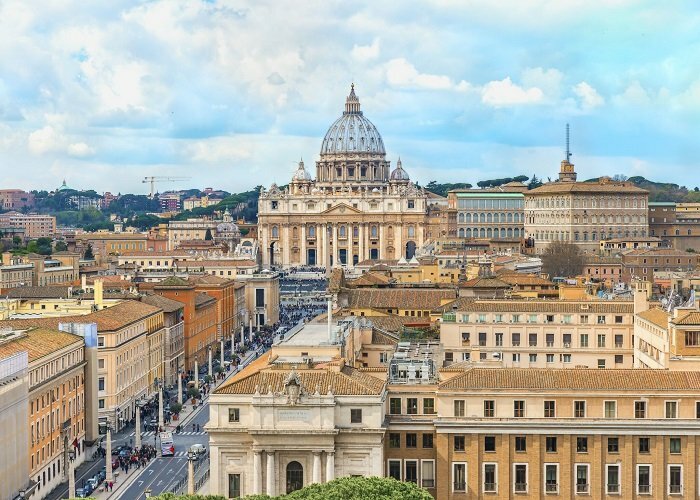 License plates– If you happen to be in Rome and see a license plate that starts with SCV (Status Civitatis Vaticanae), then you know it belongs to the Vatican State. 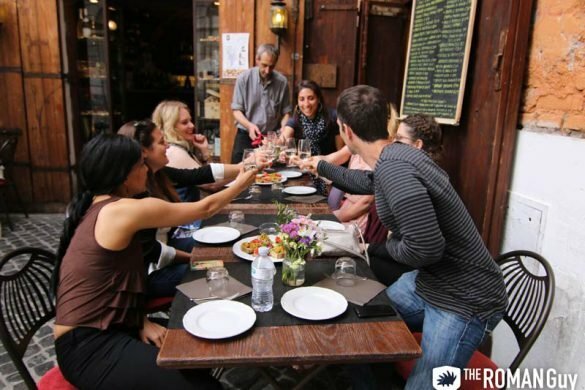 I came to Italy when I was 18 on a study abroad program and the story is…I never went back. I experimented with trying to call different countries ‘home’, but after living in France, Holland and Russia, Italy always held my heart. People ask me all the time if I tire of the Sistine Chapel or the Colosseum. Fair question, but when I see the eyes of people in front of me light up with passion and happiness, I am able to relive these amazing emotions as if it was again my first time. I believe that the greatest satisfaction in life is hearing that you have helped provide people with a memory that they will cherish for the rest of their lives.